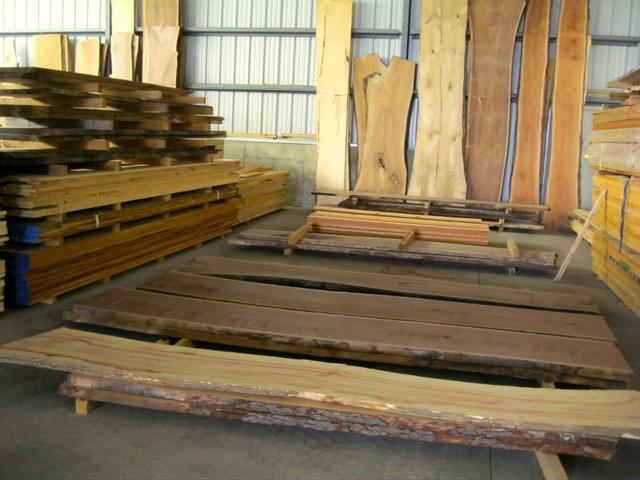 Provide a reliable and consistent supply of hardwood products to the Helena area and beyond. Operate a fair business where integrity and customer satisfaction underpin every transaction. 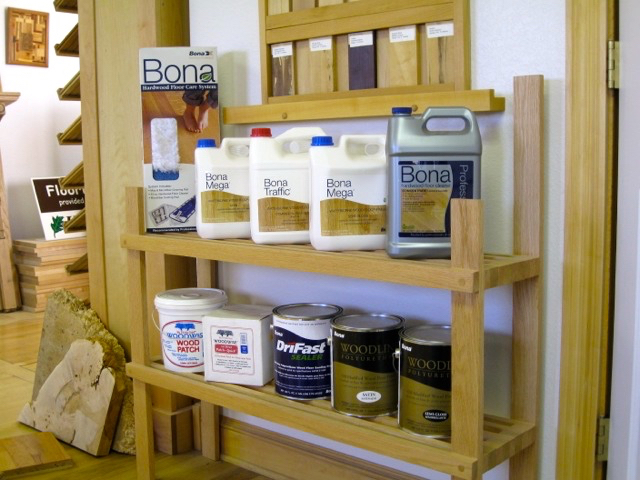 Continually improve our products and services so that we remain an asset to Montana’s woodworking community and to the City of Helena. 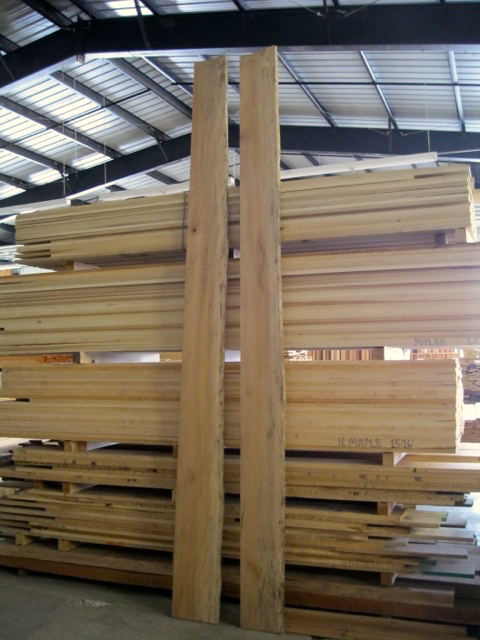 Lumber (domestic): 17 North American species, 3 - 5 thicknesses. Straight line ripped one edge. Lumber (exotics and unusuals): 27 Exotic species. Colorful, beautiful figure. Straight line ripped one edge. 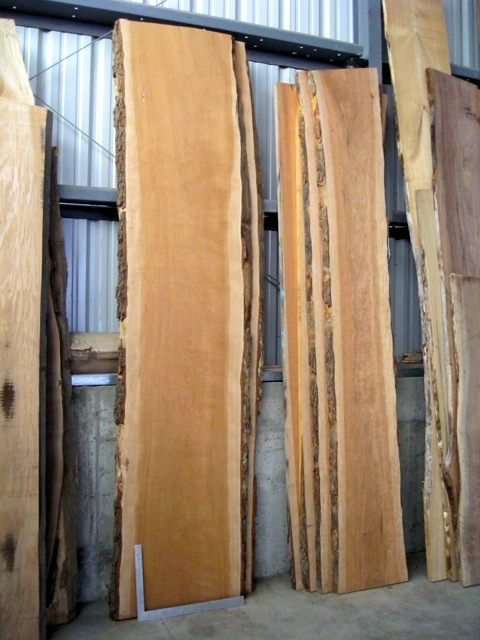 Flooring: Helena Hardwoods stocks Red Oak, White Oak, and Hickory site finished flooring in the standard 2-1/4" width. 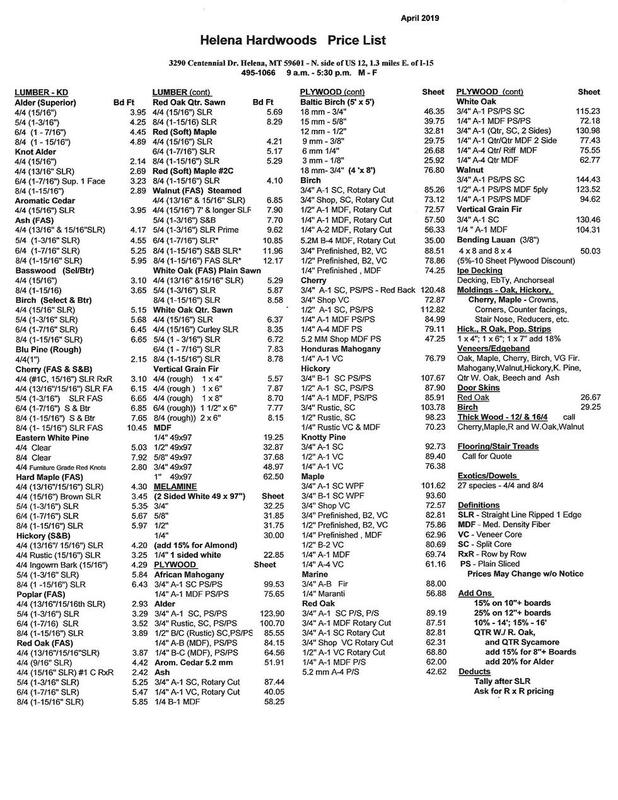 We stock Select #1 Common and #2 Common grades to best match your requirements. 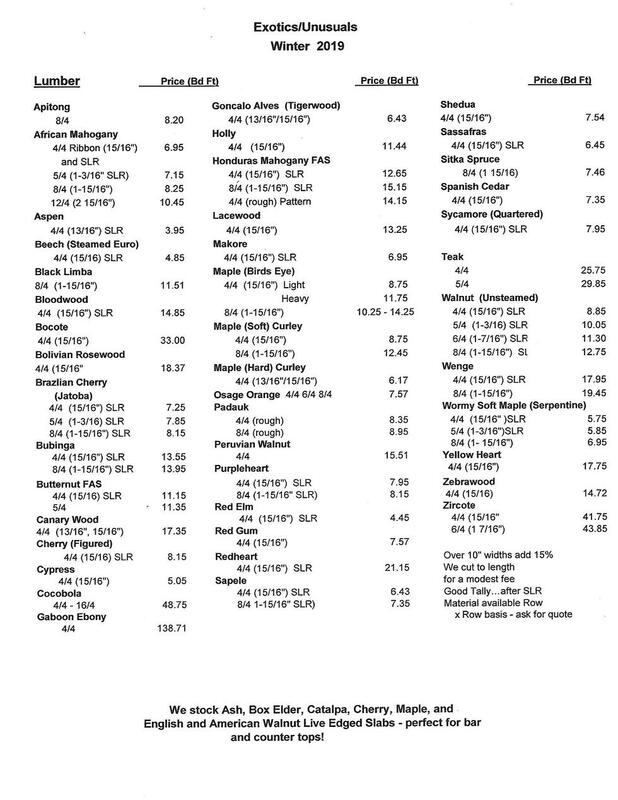 Other species, grades, and widths are available by special order. 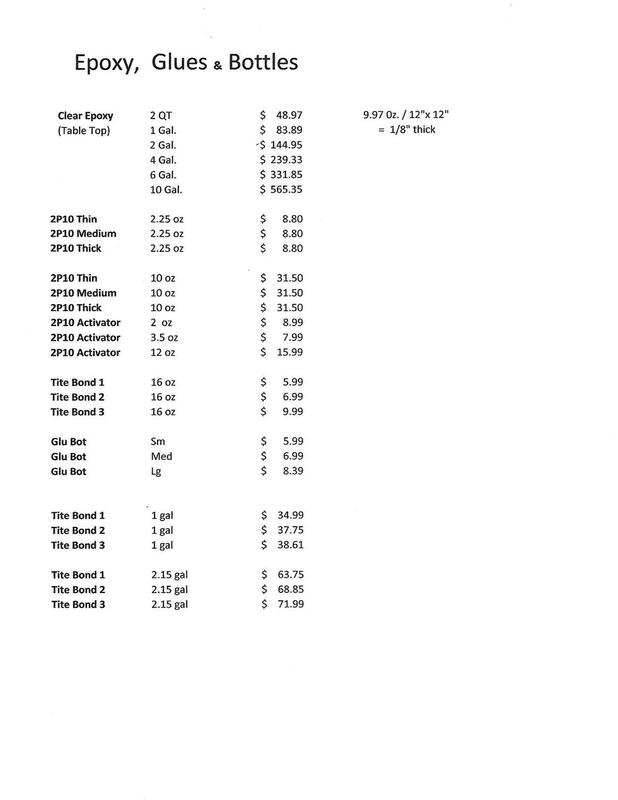 Call for availability and pricing. Plywood: Different thicknesses, different cores, different grades…to meet any project requirements. Molding: Red Oak bases and case. 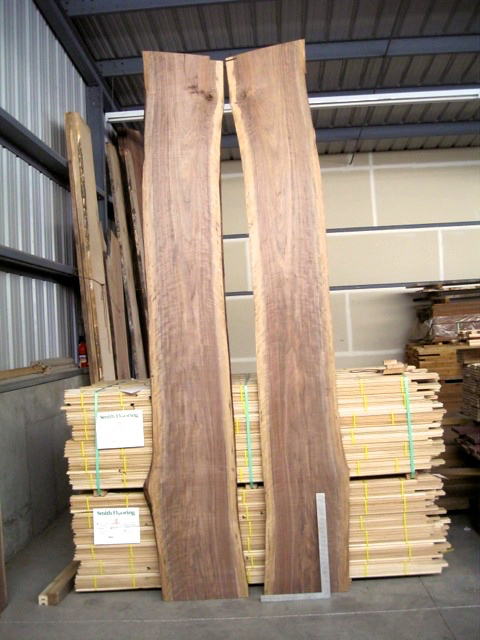 Red Oak, Hard Maple, Hickory and Cherry profiles to enhance your woodworking project, staircase, or floor. We now carry Knotty Alder base and case. Veneer and Pre-glued Edge Band: Wood over Wood (WOW) and 10 mill paper backed veneer in full or half sheets. Pre-glued edge banding. 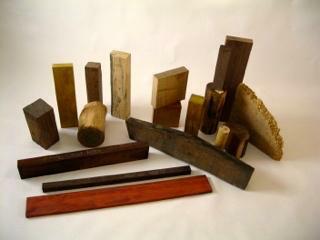 Dowels: Five species and a variety of size to complement your woodworking projects. Spanish Cedar in the foreground with Hard Maple, Walnut, Quartered Sycamore, Poplar, Rustic and FAS Hickory, Red Oak, Wormy Maple and more. Veneer rack with 4/4 9/16" straight lined ripped one edge Red Oak on top; underneath 4/4 1-3/16" straight lined one edge Red Oak. 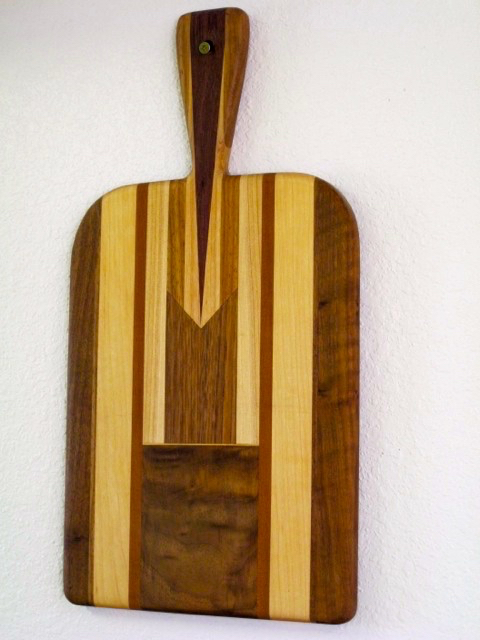 Bread board created by Carr Cleveland with Walnut, Maple, Cherry, Hickory, and Wenge. 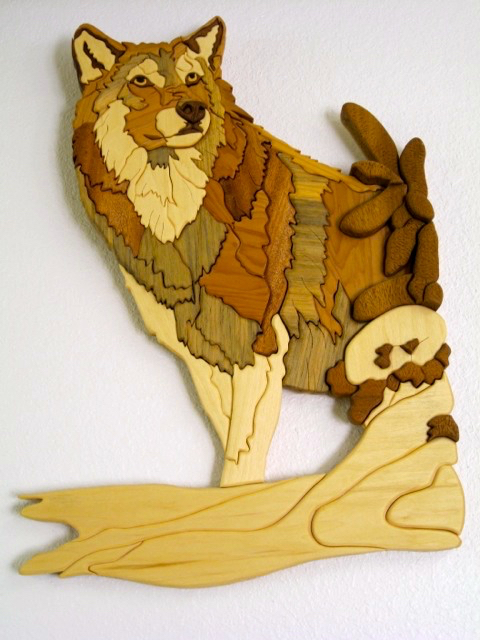 Intarsia piece created by Earl Fred with Maple, Aromatic Cedar, Aspen, Wenge, Yellow Heart, poplar, Cherry and Honduras Mahogany. 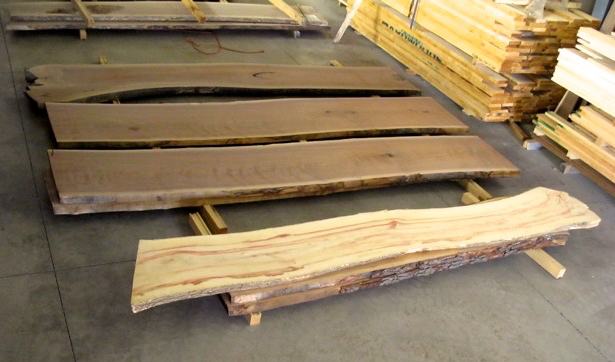 Montana's headquarters for kiln-dried hardwood, live edge slabs! 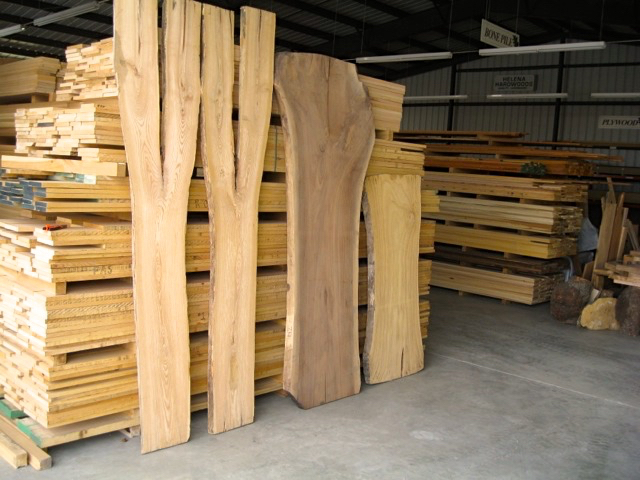 Cherry, American Walnut, Walnut crotches, English Walnut, Quartered Sycamore, Sassafras, Ambrosia Maple, Catalpa, Ash, Box Elder…approximately 150 slabs in stock…4/4, 5/4, 6/4, 8/4 10/12, and 12/4. Please contact us. 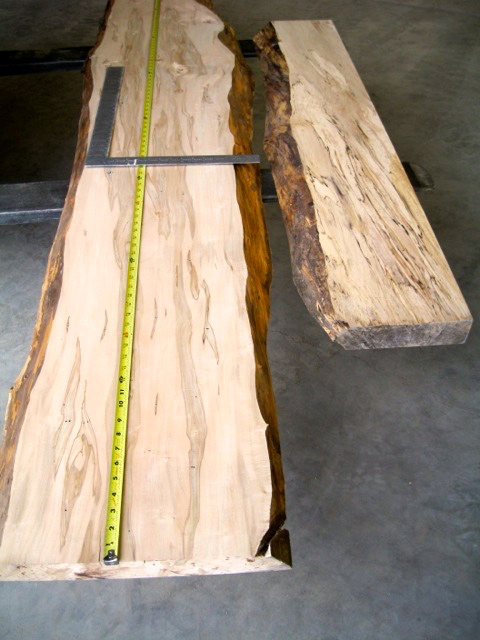 We would be happy to send a picture of a slab (or a matched pair) that meets your requirements. 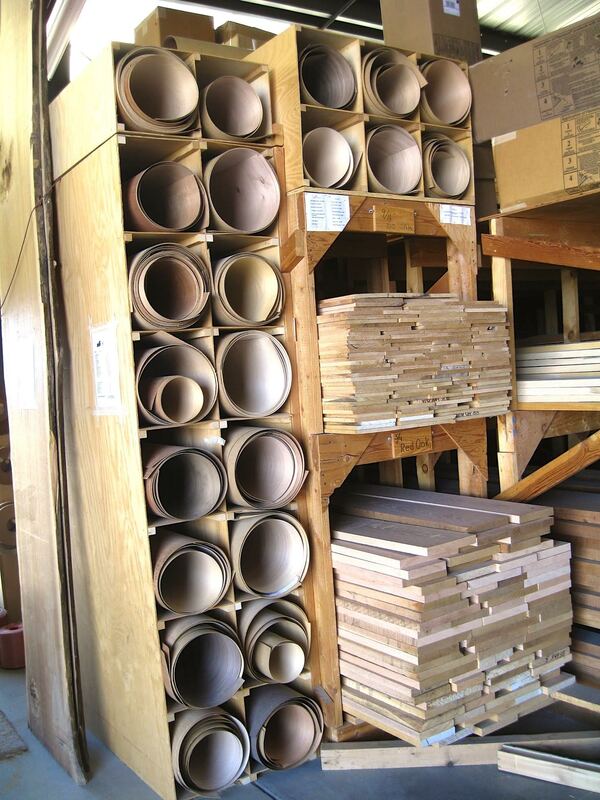 Great for rifle stock blanks, knife handles, bowls, pool cue material, and more …you name it, hundreds of blanks for turners! 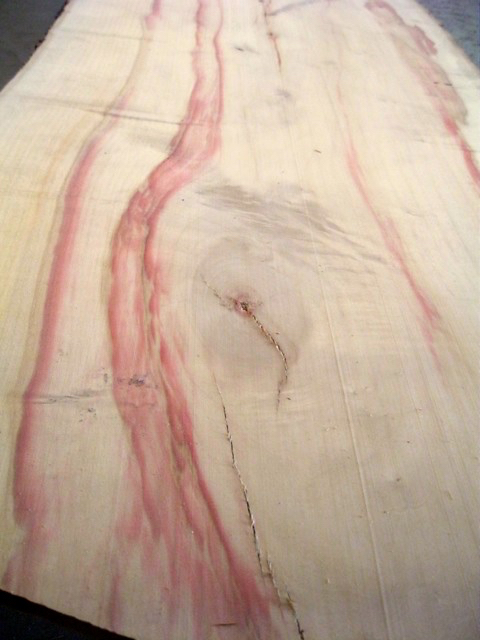 Butcher Block counter tops 1 1/2" x 25 1/2" x 10' $975.00, Custom sizes, $49.00 /sq. ft. Custom Milling Availible! Just ask and see what we can do for you! Butcher Blocks, Counter Tops, or Just a board ripped! CNC Service availible as well. As of July 1, 2016, we, Leonard and Michael Cloninger, took over ownership of Helena Hardwoods. 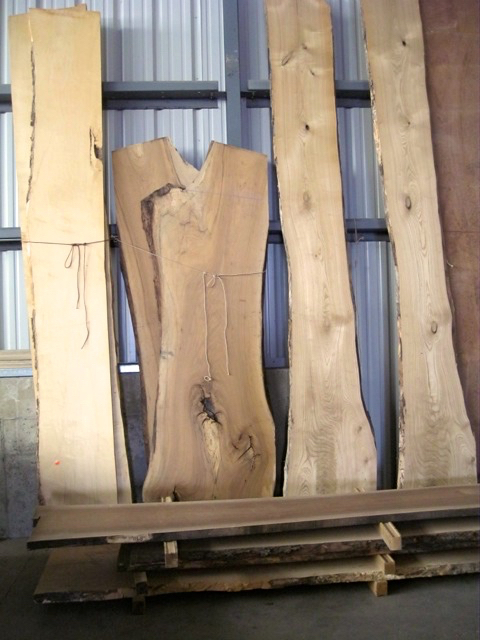 We are excited to provide quality hardwood and the same great service to our customers. Stop in and say hello if we have not yet met. 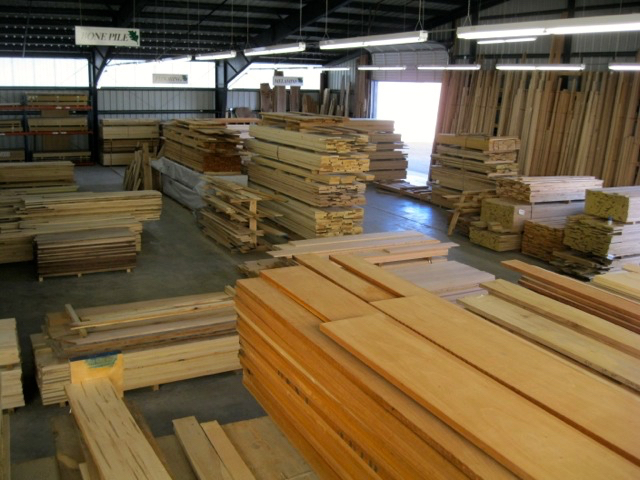 Helena Hardwoods was founded in 1980 when we received our first shipment of hardwoods and stored it in a 12’ by 24’ rented storage shed on Helena’s west side. In 1988, we moved to a new location at 1650 Aspen Street. In 1995, to allow for more space, we moved our warehouse to 3290 Centennial Drive, on the north side of US #12. Since 1980, our goal has remained the same – to stock a broad and deep inventory of quality products in a special area, namely hardwood lumber products.